Samsung is on a roll recently with the well-received Galaxy S8 and Galaxy S8+ and the newly-introduced Note 8 breaking pre-order and sales numbers. While they had a rough end to 2016 they are quickly building pace and putting the past behind them. The Galaxy S9 is still 6 months or more away, but that does not stop the rumor mill, and we have some information which helps us to see some of what Samsung will be bringing to the table with its 2018 flagships. If you were hoping for a major redesign of the Samsung flagship you might be disappointed, but why fix what isn’t broken? As always keep in mind that leaks and rumors are just that, leaks and rumors — these details are subject to change since we are still months away from release, and the device remains in development. As one would expect the Galaxy S9 carries the SM-G960 internal designation, the natural evolution from SM-G950 and 955 from the S8 and S8+. Our leaks only give us information about the specs for the base S9, but at this time there really aren’t any reasons to doubt a S9+ will be released as well. Since the phone will be shipping early next year it will naturally bring Android 8.0 Oreo, likely with a new version of the Samsung Experience UI which should be at version 9.0 at the time. The Snapdragon 845 will be powering the phone much like the 835 this year and Sammobile wrote about rumors that suggest Samsung will be securing the first batch of this new chip, possibly delaying other 845 phones by a few months again. Finally, our source tells us that the fingerprint sensor will be in a centered rectangular cutout — while this seemingly rules out an in-display fingerprint scanner, keep in mind the device our source is acquainted is essentially an early prototype, and this might change further in development. This bit is a little confusing still, though if they intend to bring dual cameras for the S9 it’s possible that mounting placement will be similar to that of the Note 8, if you were to rotate the entire camera and sensor array 90 degrees clockwise. We haven’t heard rumors that the Galaxy S9 will ship with the dual camera array from the Note 8 so far, but it is highly likely that it will. Not everything is looking to change with the Galaxy S9. The phone looks to still retain its QHD+ display at 1440×2960 with its 18.5:9 ratio and the Infinity Edge. 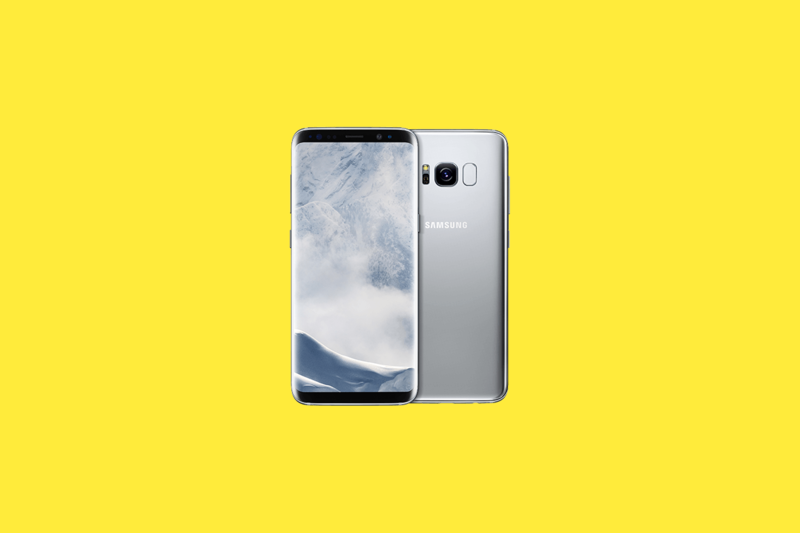 The phone will largely retain its shape and form factor, but it is not indicated if it will have the rounder Galaxy S8 display or the more-squared Note 8 display. Finally, our sources indicate that the Galaxy S9 will offer 4GB of RAM with 64GB of internal storage. It would be safe to assume the return of expandable storage and the IP68 water-resistance rating. If the Galaxy S9 indeed retains 4GB of RAM, it would be a disappointment since RAM management is one of the worst aspects of Samsung’s current phones, especially with such a heavy-handed UX. As we mentioned earlier, these are rumors and leaks and many things can change between now and the usual release period of March/April. It is sad to see that the phone looks to retain a physical fingerprint sensor, but at least it could be mounted in a better orientation this time — it seems like Qualcomm’s under-display solution is not quite ready for prime time. We aren’t looking at a radical redesign but it does look like Samsung is keeping what works and changing what doesn’t on its 2017 flagships. It is also likely that we won’t see a modular design coming with the Galaxy S9 which makes sense since that would likely require a total redesign and Samsung traditionally does this every two years. That is all we have learned so far about the Galaxy S9 ,and we will keep you updated on the XDA Portal as we learn more about the phone. What appeals to you about the Galaxy S9 rumors? Would you have liked to see a 4K display, modularity, or anything else? Let us know in the comments!